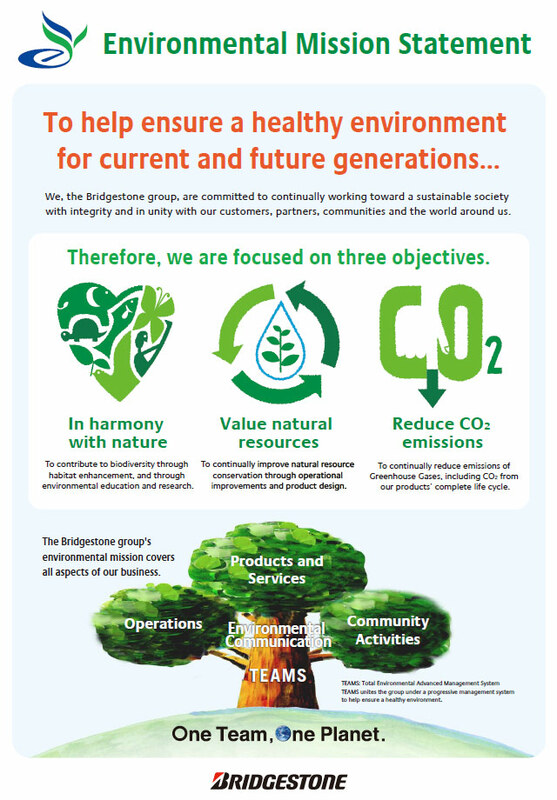 ﻿ Environmental Policy | Bridgestone India Automotive Products Pvt.Ltd. We, Bridgestone India Automotive Products are committed to achieving ever higher levels of society's trust and employee pride. 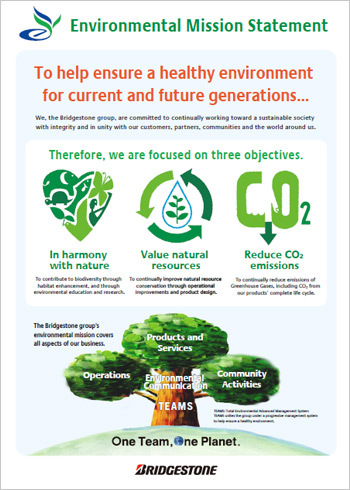 We consider the environment and health and safety matters to be integral and important parts of all our business activities, as we work towards a sustainable society. To ensure continual environment improvement. To comply with applicable environmental legal and other requirement. We communicate openly and honestly about our shared environment. Our concern for the environment in material selection, production processes and logistics continually improves our environmental performance. We help customers conserve natural resources through our continual improvement of products and services.